Last week, we covered a new, open-source live wallpaper (LWP) called Muzei, and less than a week later we have no less than twenty beautiful add-on extensions to the app. Muzei uses subtle blur and dim effects to create aesthetically pleasing LWPs. The app takes free works of fine art and rotates them daily, creating a living "museum" for your Android device. But the fact that the app is open-source means that anyone can write extensions for it, and right from the get-go, we had a couple for astronomy and reddit pictures. If an extension has options or settings, those are accessible through the gear icon. Bear in mind, some of these still have a few kinks to work out, but for the most part they are functional—here are some of our favorites, in no particular order. Created by SimpleCity, Muzei Music Extension utilizes album art from several music players and places them as your wallpaper. There are only a couple of options for this extension, allowing you to choose whether you want to download missing album art through data and Wifi or Wifi-only, as well as the ability to choose image resolution for missing album art through Last.fm. 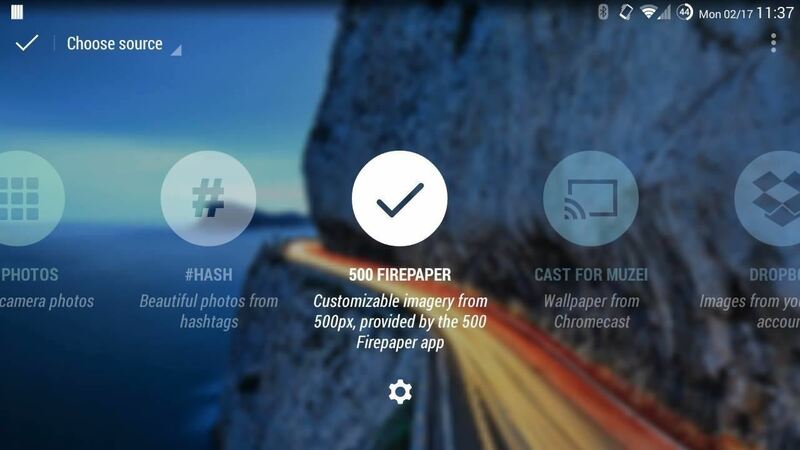 Created by Tony Cosentini, Instagram Muzei Addon will pull your Instagram pictures and display them as a wallpaper. The settings are very simple, simply activate your Instagram account and you're set. This extension will only pull your photos, not the ones displayed on your feed. Update: Instagram Muzei Addon was updated on February 18th to include support for images from your feed. Created by Fourmob, Muzei Hash pulls and displays images based on specific hashtags in Google+. Tags such as #longexposure, #photography, and #wallpaper yield really nice results, but you can customize to your heart's content. Options include user-set update intervals and whether you want the updates via Wifi-only or with your data connection. Created by Ignasi Busquets, Dropzei for Muzei downloads photos from your Dropbox account and rotates them according to set intervals. The extension allows you to set up multiple, specific folders to pull images from and the amount of time each image displays until it's updated. Simply link the extension to your Dropbox account (done through Settings in Muzei), select your folders, and you're all set. Created by Anthony Kiniyalocts, Cast for Muzei pulls images from the Chromecast image repository, which serve as screensavers for Chromecast dongles. Fairly straightforward with no settings to worry about, the extension will change images when Chromecast servers receive new images. Created by DroidSoft UK, National Geographic Muzei pulls images from the National Geographic Picture Of The Day gallery. Options include the ability to change the refresh frequency, Wifi-only updates, and toggling SmartCache, which may help save some bandwidth. Created by James OBrien, Muzei - Tumblr Photos shows your favorite Tumblr blogs as LWPs. Settings include the option to add as many blogs as you want, toggle captions and blog names, change update intervals, and update connections (data+Wifi or Wifi-only). Created by Nicolas POMPUY, Flickr for muzei displays Flickr photos as your wallpaper. Extension setting include the ability to filter by "search" or "user" (add as many as you want), refresh rate, and a Wifi-only option. That's it for now—again, there are a bunch of extensions for Muzei already out there, and that list will only grow with time. Hopefully, you'll dig some of our favorites, but definitely let us know your own favorite extensions in the comments below.